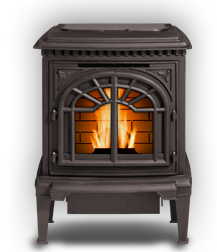 The Crossfire Insert has a stir rod for self cleaning burn pots and is approved for use with zero-clearance fireplaces. The Crossfire Insert conveniently lights with an electric igniter. It comes with five heat level settings, and offers the option of being thermostatically controlled. 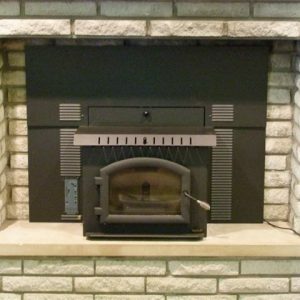 The Crossfire Insert has a stir rod for self cleaning burn pots and is approved for use with zero-clearance fireplaces. This efficient, safe heat source will add beauty and comfort to your home. The single most important thing you can do to prevent mechanical failures, is to follow your manufacturers suggested maintenance recommendations. We offer cleaning services, please call to schedule your cleaning. 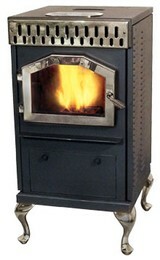 Stoves that are cleaned regularly will breath easier, burn more efficiently, and last longer. We are available Monday-Friday 10-6, Saturday 10-1, please call for an appointment.